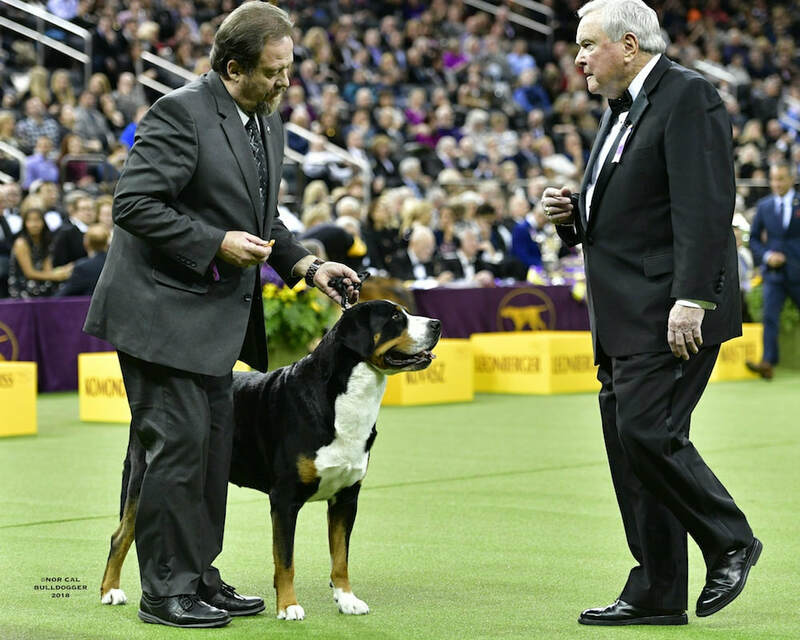 Westminster Kennel Club Working Group, Madison Square Garden, February 13, 2018. 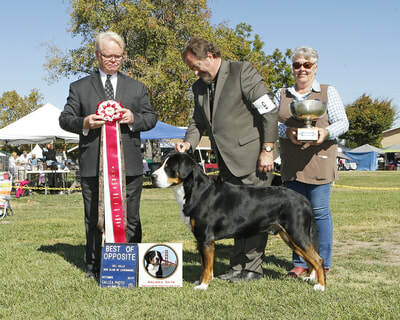 Presented by Kyle Hennefer; Judge Mr. Robert H. Slay. 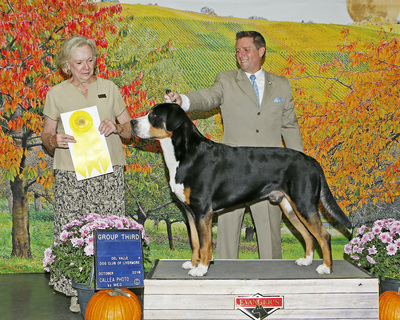 OFA Excellent hips; Normal elbows, shoulders, eyes, thyroid. 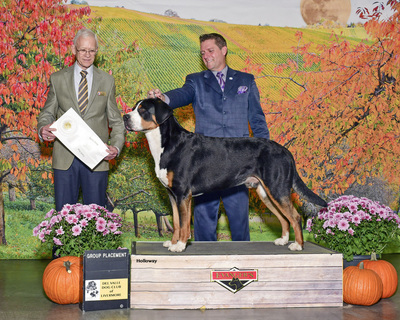 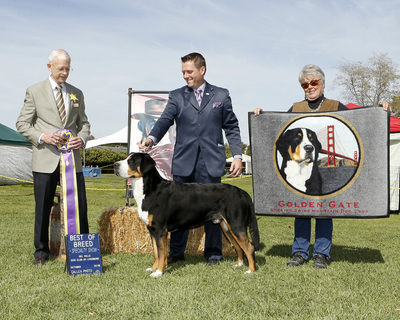 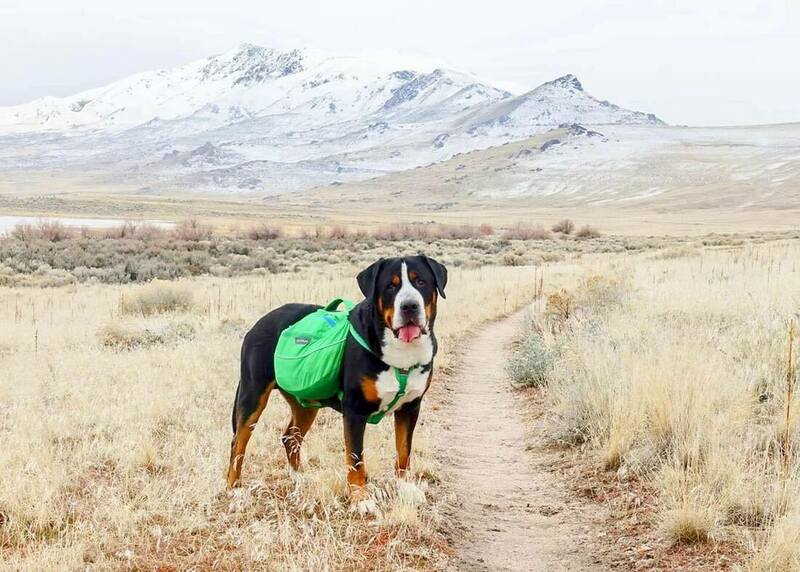 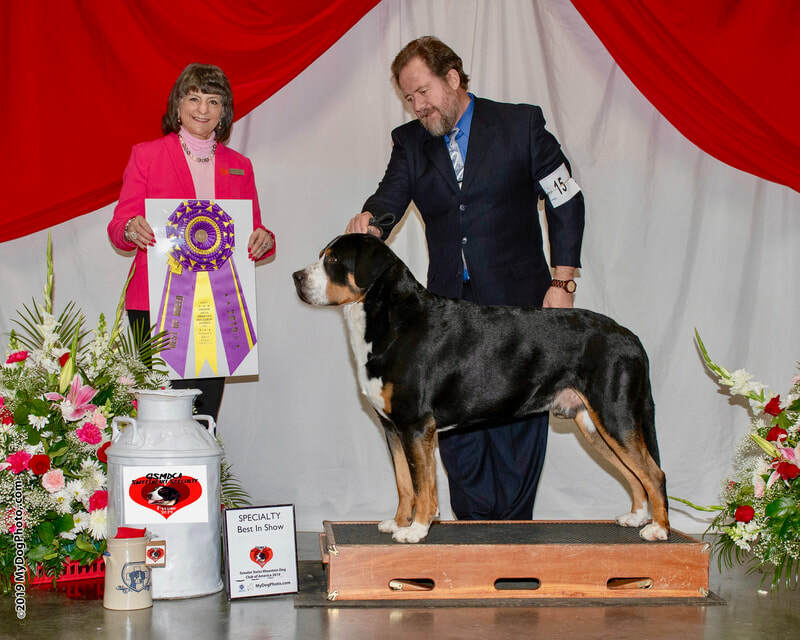 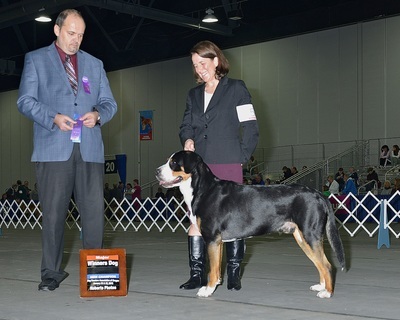 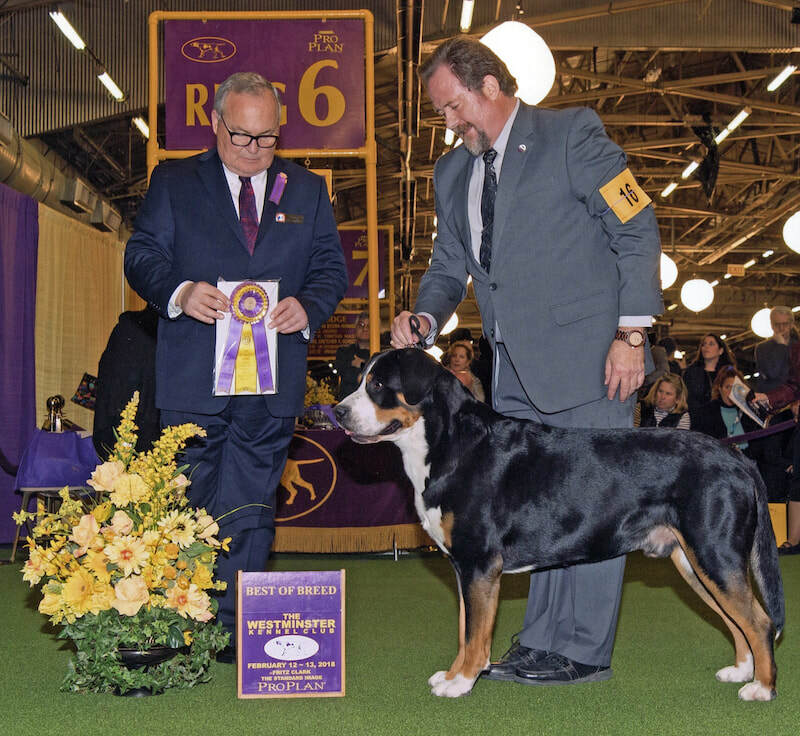 Finished 2018 as the #6 All-Breed and #10 Breed GSMD (AKC year-end points rankings), with multiple competitive Working Group placements and a fourth Best in Show Specialty win. 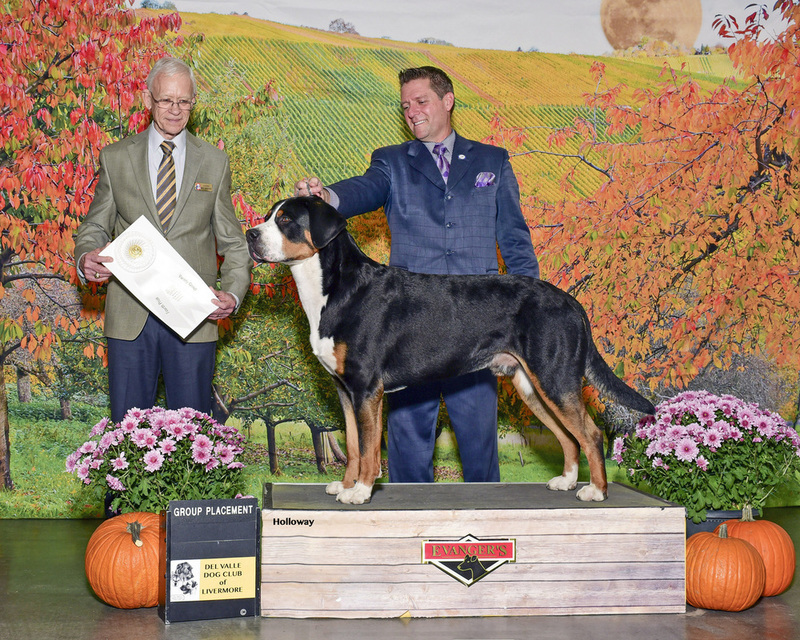 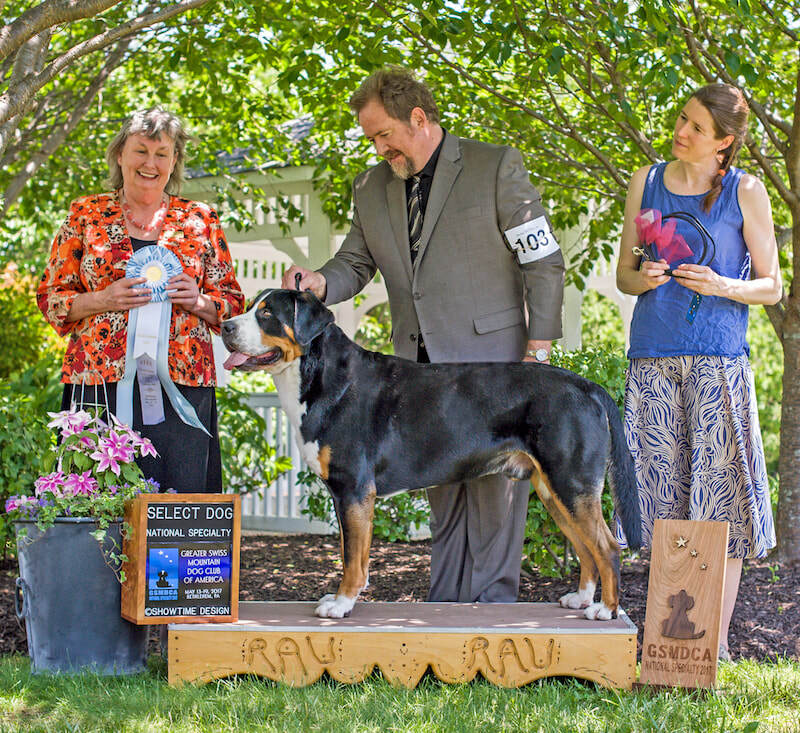 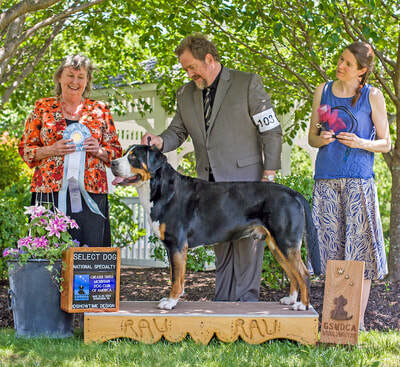 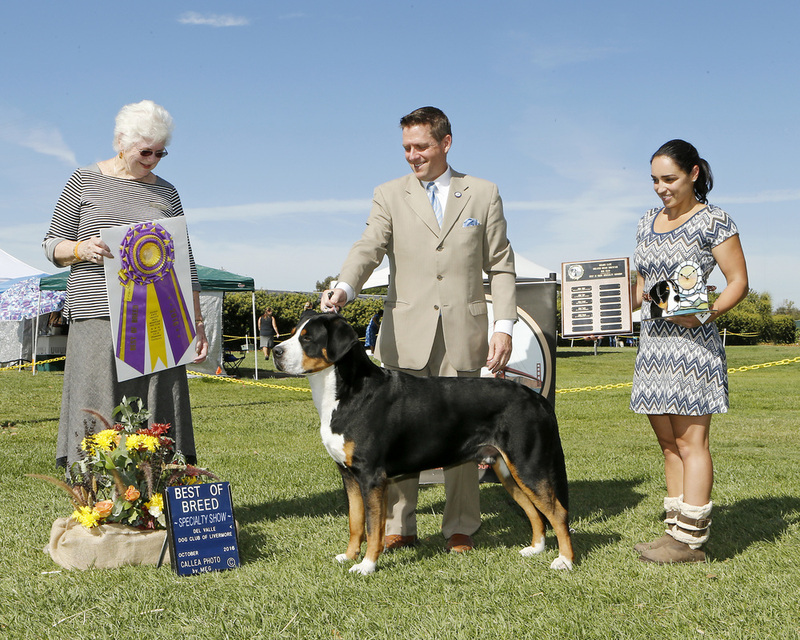 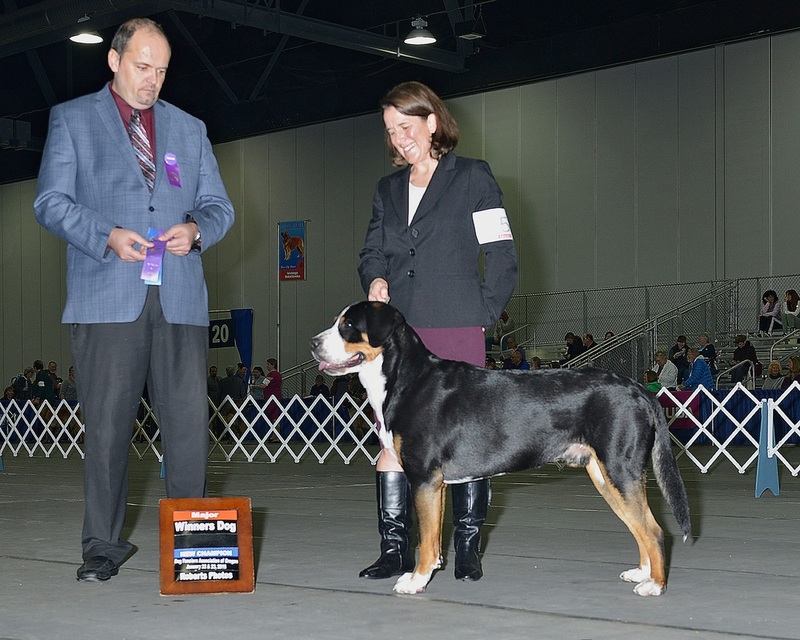 Finished 2017 as the #4 All-Breed and #5 Breed GSMD (AKC year-end points rankings), with multiple competitive Working Group placements and a third Best in Show Specialty win. 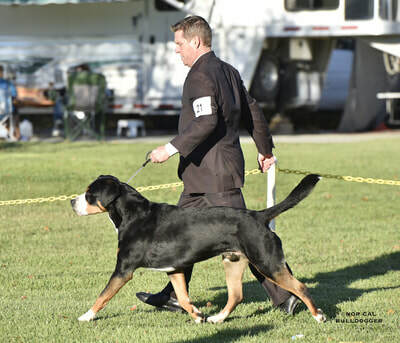 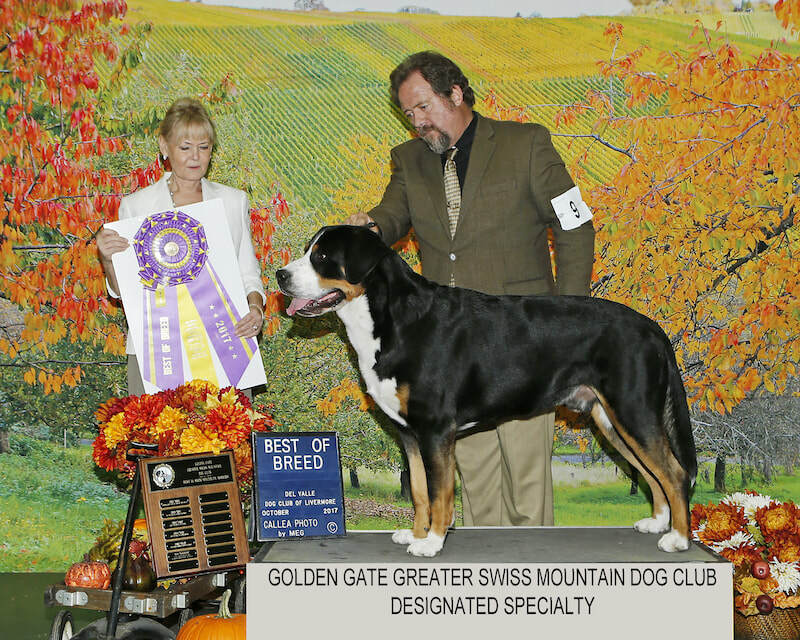 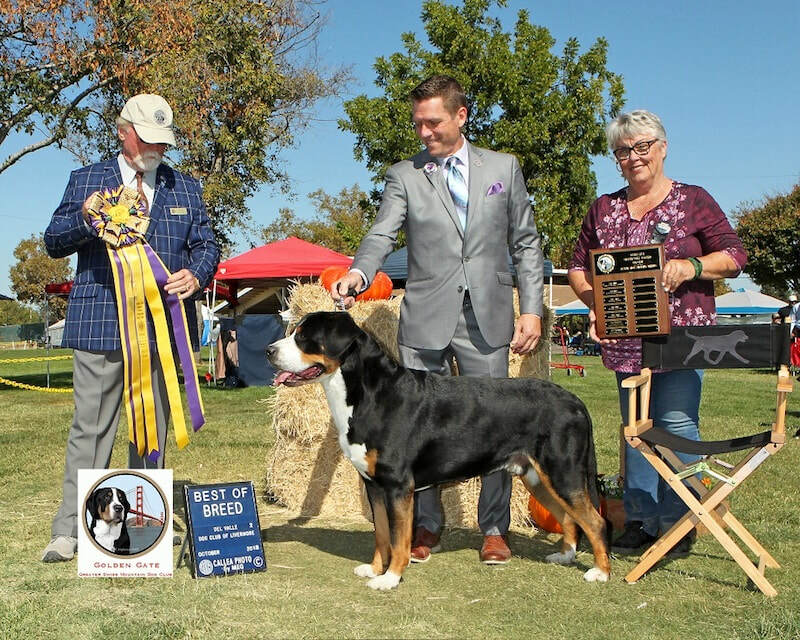 Finished 2016 ranked as the #5 All-Breed, #6 Breed and #2 Owner-Handled GSMD (AKC year-end points rankings), with multiple competitive Working Group placements and National Owner Handled Series Working group wins, and two Best in Show Specialty wins.